"If you build it, they will come - Lever's open setup lets you configure to your orgs' need." As a large corporate enterprise, we needed a system which would provide global oversight, but still allow many customisations for different teams and markets. We've implemented across 10+ countries handling different languages, data privacy restrictions, and team maturity levels. The best part of using Lever, in addition to the features, is the willingness of Lever's team to work with you to find a solution. From complex requisition and offer approval flows to feedback forms in different alphabets, Lever has allowed us to tailor the process to be collaborative and easy. Perhaps the most impressive part is how much Lever has grown both in features and delivery in the last 3 years. Already strong at pipeline management, the addition of requisitions, approval flows, offer automation, and an API which allows us to generate unique custom reports on whatever we need makes the tool critical for any recruitment team looking to base decisions off of data. Getting better as Lever grows, but broader job board integrations with tools outside of US tech industry would help enterprise clients in different markets, and also expand footprint of familiarity with Lever. Deeper ability to brand within the system - from including logo images, to colors and more options in the auto-response email. Suitable for clients all using same brand, but it is difficult to utilise if different known brands in different markets. We used to struggle with open vacancies, now we have requisitions and approval flows which detail exactly how many are pending, approved, or open. We have the offer process fully automated to reduce custom clauses. A large concern for us was GDPR compliance and data privacy. Lever has been in my opinion the most proactive ATS on this front by far. Probably the most tangible benefit was with the usage of a strong in house team, reducing external recruitment agency usage from over 25% to under 10%, saving several million in costs. "The first software I purchase when I arrived at a new startup"
Lever makes it easy for small teams to create a great candidate experience from day one. There are some quintessential features like syncing calendars to schedule interviews for other team members, analyzing candidate pipeline to identify areas where candidates get stuck & easy website embeds that I think have become obligatory features in the space because Lever has done them so well.. Very few complaints. When I last purchased (March 2018) there wasn't explicitly an early-stage plan. That said, Lever was very generous and set us up with something that justified the increase spend. At the time, we were a <10 employee startup with offices in Europe & the U.S. looking to create a great experience for candidates interviewing in both offices. Lever helped us overcome timezone issues that could otherwise create huge delays in getting back to candidates: we hired 3 employees in the first 45 days of using Lever. "2nd time Lever user and still very happy!" Integrations with Google calendar. As a talent leader juggling multiple calendars for team members, this makes things very easy to see who is free and move things around as needed. There are some UI issues (probably a personal preference of mine) which I reported a couple years ago as a user and see that it still hasn't been updated in the calendar notes section of the candidates. This is my second time using Lever. My first time around I inherited Lever as a tool that was already implemented. This time around I knew Lever was a strong choice based on my experience before, but still wanted to do my due diligence on some other solutions. They definitely won me over again and I was excited to continue to use this product. If you are looking for a tool that integrates well with calendars, it doesn't get any better than Lever! Top level view of our candidate pipelines, easy to use job postings, pipeline speed and candidate response times. "Lever is definitely the best ATS I've ever worked with"
For the every day life cycle of recruiting, Lever makes it easy. The platform itself is very intuitive and robust. I like that it is candidate centric because it feels more like a one stop shop. There's a ton of customization possibilities so that it can really lend itself to the needs of your business. The base level of reporting is great if you don't need anything super detailed. I love every person that I've interacted with - either on a project or my account managers. On a silly note, I like that when you click "hire" you get a fun hooray message. If you need robust reporting, you should be prepared to dig in deeper into the data on your own. Some of our big pain points are currently being addressed (Internal Hiring, CRM capabilities, a million offer letter templates) which is great! Permissions can be a little frustrating (I want something to click that doesn't allow certain access levels to move stages or try to schedule!). We struggle a bit with some integrations, but we're heavy in integrations so sometimes the stickiness comes from the mixing of tools. Overall, the likes outweigh the dislikes and a lot of it is a matter of when you have something great but are still always looking for the next best thing. As long as you don't need a ton of reporting, Lever is definitely the best ATS in the game. Having Lever as our ATS allows us to stay organized and on the same page. The ease of use to move candidates throughout the process has been really great. Every year we've definitely seen changes that have helped our day to day in big ways. We moved our Reqs and Offer letters in last year which has been amazing. We've integrated our background checks, onboarding, and several other tools to the point that if there's not a Lever integration for a tool we second guess usage. The system is too rigid. It would be great if other admins could edit meetings scheduled by someone else. The feedback form customization could be better (for example, I'd like the ability to have a question where the question itself was a drop down e.g. select which of these questions you asked the candidate, followed by a text box for the feedback on the candidate's response to that question). The email sync seems to be inconsistent. You really need to fit your model into the flow that Lever expects. Go through some practice runs in terms of scheduling meetings (it took us a bit to get easy link working as we wanted) and collecting feedback (make sure that your forms cover everything you want to be captured). We're using lever to track out hiring efforts. It is one central place so that anyone can check in on the status at any point. "Pretty good and getting better"
I like how seamless it is to move candidates through the pipeline, the overall user experience is pretty straightforward and clear. As a small company, its been easy to integrate into our hiring practice and keep much better track of our candidates. I felt that I received a lot of attention from the Lever sales people when I was at the top of the funnel, but once I'd paid for the subscription and was into implementation, I was pestering my account manager with questions and it was a much slower response time. Make sure BEFORE impelementing that small businesses like mine who really have to be aware of their costs, understand what the starter package is. I was kind of sold based on all of the features and integrations, and some of this is my fault for not really reading through, but once I got going I Realized that most of the features I wanted were in the tier package above ours, which was a little disappointing. Communication between our teams and candidates feedback. I've realized how much easier it is to standardize our process and also it's really sped up our hiring process which as been great. We came from REPS, which was cumbersome and very hard to update on our own. We buckled down and our non-techie VP, Talent Management was able to setup up Lever in 3 weeks (one of which was Thanksgiving)! Not only was Regi a great trainer but I appreciated Lever’s detailed implementation plan. All of the steps were listed out with training links so it was easy to see all that needed to be done before go live. The end product was what Nick sold us during the sales process, which isn’t always the case. And, we always felt like Nick and Regi genuinely cared about our success and wanted us to have the option that best fit us. The Lever-Namely integration is extremely basic. We wanted an easier ATS. One of the benefits we love with Lever is the integrated communication tool. Now everything remains in the system, which saves time and makes it easy to see what has been communicated with each applicant. "Great ATS for small early stage companies, very responsive team"
The product has good work flow and functionalities, it's at a great price point, and the team there are stellar. They are responsive and there are definitely limitations to the product itself, but they make up for it in being concerned and caring about getting product requests in and launching new features that are user friendly. It can be difficult to do very specific things, like adding stages and the fact that you aren't able to customize stages for each role is an annoyance. There are also difficulties with data migration, but the team really try to make it as painless as possible. Definitely talk to the team and try the product out. It's great for an early stage or smaller company who wants to step up and create more structure around their hiring processes. We had no ATS prior to Lever (we were using Workable) and it was extremely difficult to schedule on-sites, gather feedback after interviews, and give guidance to my team and hiring managers. This helps us create processes and collect personalized, timely feedback in a way we hadn't before because we're such a small team. I love that it is so user friendly. It doesn't matter if you are the candidate, hiring manager or recruiter . . . it is easy to use on all sides. I also love the customer support. Our implementation process was seamless due to a great rep at Lever! I wish it was mobile friendly. I also wish that they would set some parameters for what can be uploaded as a resume. Numerous documents we aren't able to open. No ATS is going to do everything you want it to. However, Lever hits a lot of those sweet spots that you are looking for. I would recommend figuring out your process and what matters most to you to meet your company needs then ask lots of questions. I loved that Lever worked to understand our business and how we would be using the ATS in our business strategy. They were very thorough and helpful. They also have been really great with our feedback or suggestions. I feel like they are moving in the right direction and constantly looking for ways to make it even better. Don't be afraid to let them know things that could be better. We didn't have an ATS before Lever and really needed one. It has enabled me to spend less time tracking our job postings on multiple websites. Now it centralizes everything creating a talent pipeline and making it easy to communicate with hiring managers. The tool is very user friendly and the team is amazing! Indeed, it helped us centralise all of our candidates in one place. In addition to that, the management of our pipe is way easier and more reliable. We're able to track our activity in a very specific way. There is nothing to dislike. The implementation went very smoothly and Monika, our Lever advisor, was extremely professional and efficient. She was always helping us customise the tool to meet our requirement. For the companies that are looking for a powerful recruiting tool that will help them gain time and improve their sources management, I definitely recommend Lever for its capacity to do. The very user-friendly platform is a major plus. We are improving our activity by centralising it. We are gaining time via Lever and are able to track every candidate and his evolution in the process. "User friendly and easy to use ATS!" This applicant tracking system has evolved quite a bit over the last 5 years or so that I've had the chance to use it. I appreciate the easy to use interface no matter your role within the company. This has allowed me to get hiring managers and executives more involved in the interview process as well as getting timely feedback on candidates. It also has quite a few customizations to the workflows, email templates, job descriptions, etc as well as various integrations to the system. Some of these integrations are to other platforms for sourcing, posting to job boards, background check tools, onboarding new employees, etc. Overall, the product allows for the recruiting team to live within the ATS as much as possible making us more efficient and effective. Make sure you understand the reporting piece if that is important to you. Helped decrease candidate time to hire, increased applicant flow, and overall recruiting efficiency. Lever hire have their own site where candidates can apply there, so even thought our company website hasn't launched yet, we can just still copy and paste and everyone can apply! And the page is custom too, we can add more relevant question to instantly screened the candidates. I can't change the pipeline by myself! I have to ask their support team, but since there are 13hr difference in our location, my team and I need to wait for approximately 1 day until the changes applied in our lever. My team and I really love using lever as our recruitment tools! No clutter, simple and easy to use. With the support team and our Implementation Specialist, Rain, we already learned everything in Lever only in 1 month! We can track the progress of our candidates, and how to make them progressing faster. "Excellent Software tool and implementation experience." The tool is integrated with Office 365 which allows the recruiting team to work in Lever 90% of their day. The email integration is excellent but more importantly the ability to book interviews on Hiring Managers calendars within the tool saves a tremendous amount of time. I have to nitpick to find something. I would like a little more flexibility with the way some forms are organized. Example: The offer defaults to the candidate signing first then the hiring manager, you have to click a checkbox each time you send an offer for the manager to sign first. This is really nitpicking and I know it is in the future product request queue. Calendar and email integration, automated reporting with relevant and realtime information. Ease of use for managers, recruiters and candidates. "Lever review - a single source of truth "
-A single source of truth to capture all the information you have for a candidate. -Easy system to use and navigate. -Hiring managers love it so far. -Good customer support - our implementation specialist Monika went above and beyond even on a different timezone. -Amazing tool for US clients but as we are in Australia it doesn't integrate with a lot of local Australian products for example - Testgrid our aptitude test. -There is no electronic signature for offer documentation unless you have DocuSign for business which involves and integration and it is costly. 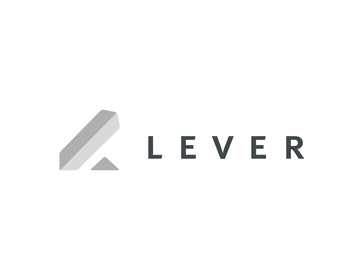 We are a small to medium sized Australian tech company and we recently implemented Lever. I could not praise Monika our Implementation Specialist enough for all the help she gave us throughout the implementation. As Lever is a US company Monika was on a different time zone to Australia but was always there to help no matter what time of day it was. Lever itself is a fantastic ATS, their API is robust so it integrates with lots of other tools. It is a simple system to use with good UX. The only con I would have is that it is focused on the US market more so than Australia. "The best ATS I have ever used"
Lever definitely deserves 5 stars, customer service is superb and incomparable to their competition. We changed our previous system for Lever month ago and it already tremendously improved speed and quality of our work. The product is state-of-the-art when it comes to ATS' systems and while it needs a bit of polishing, Engineering Team is working super-fast to fix bugs and implement features. We love the product but we love the company, even more, Lever Team is extremely helpful and supportive. We learn from them how to treat our clients. The software is still being developed so not every feature I could imagine is available yet. ATS system helps us to organize recruitment processes and manage a database of candidates. It also helps with GDPR compliance. To make the long story short, ATS is the core software of our business. I absolutely love the logical organization of all of the applicants. Everything was fairly simple to implement and set up and the Lever team (Regi) was a dream to work with. Even after set-up was completed, any changes or questions that I have have been addressed quickly. There is always room for improvement. As we move along in the process, we are finding some things that don't quite work as we need them to (i.e. the easy book tool doesn't quite work for the way schedule things and the lack of integration with a video chat system like WebEx). Keeping on track with where each applicant is in the hiring process and the ability to communicate with team member and applicants. I love how connected everything is. I would highly recommend using Lever to any company that is growing and growing quick. It has been an absolute game changer for my recruitment team! The product's workflow and visuals make us process ninjas which allows us to provide our prospective and incoming talent with the absolute best experience!! I can count on my team to be organized with this tool and collaborate seamlessly with hiring managers throughout the org. I don't know where I would be without Lever and I have experience with other ATS tools. Nothing yet. I have given suggestions to the platform and my implementation specialist submitted those requests instantly. The only thing I could think of is a signature function. We are solving major organizational problems with Lever. It allows us to create the best experience for talent by having their email, resume, linkedin, notes, feedback, etc all in one central place. Also, the visuals of the tool are unparalleled. They are built for your modern recruiter who really wants to evaluate pipeline health, stage health, etc. I would have liked to spend mandatory time with my entire team rather than just us admins and recruiting when learning and training about the tool. EEO data must be requested from Lever directly. Exporting data from reports requires a pro upgrade. Use your customer support manager! They will help you with any issue, question, or suggestion that one may have with the platform. We wanted something that could be implemented with our core HR system that was quick, easy, and that the price made sense for the value. Not only did Lever meet and exceed those expectations, Lever increased our talent acquisition efficiency by encouraging other team members such as human resources, and managers to be a part of the recruiting process. "Beautifully designed, robust, and functional"
Lever is a fantastic platform, and has helped our team tremendously with making hiring decisions and streamlining our processes. Lever has a super intuitive design (pipeline visibility is very clear at a distance), it integrates well with our other platforms, and it's built to support recruiting at every stage of the process. I love the customizability of the feedback forms, and scheduling is super easy as well. I've also really appreciated the customer service and overall implementation support I've received with Lever; their team is super helpful and I've always had my questions answered quickly. The pipeline stages aren't customizable which can be a little difficult to navigate, but the reasoning behind it makes sense (customer support is also able to alter this very quickly). The same goes for archive reasons. Lever has cleaned up our interviewing process, managed our candidate pipeline, and allowed us to streamline & simplify hiring by allowing us to efficiently make decisions and move candidates through different stages. Seamless design. Candidate centric ATS - the automation elements in communicating with candidates, scheduling and also feedback all work together so that in essence you have more time to spend with candidate rather than bogged down by admin tasks. As an early stage scaleup we did rely on external headhunters, this is not handled very well in Lever if you want your hiring managers to use the ATS themselves. I think there's a couple of US only features - in EU contractors work on day rates for example, something you can't specify in a requisition in Lever. Something as small as US date formatting also makes a difference. I hope Lever will continue to grow and adapt their product to international audience. Improved candidate experience. Improved feedback capacity and therefore decision making for hiring teams. Monitoring return on investment of recruitment spend. "So happy we went with Lever!" There is nothing I don't like about Lever. Lever is a winner, we looked at several ATS systems and we have zero regrets about moving forward with Lever. It's saved an incredible amount of time and the customizable templates are a godsend. My only concern is that they are SO GOOD at what they do it's only a matter of time before someone comes along and buys them. Hopefully the system stays as awesome as it is now when that day comes. Saves an incredible amount of time, great visibility into the recruiting and hiring process, allowed us to identify bottlenecks in our hiring processes via their reports. "Customer-friendly user interface, easy to use, and amazing customer service"
Lever had everything that we needed in an ATS. Lever's ease of use, depth of features & integrations, and stellar sales and customer support were apparent from the very beginning, making them a very easy decision to switch to. Another concern of ours was dealing with the hassle of switching ATS's, but our implementation manager made this extremely simple and straightforward. We were up and running with all of our old data seamlessly migrated within a matter of weeks. Any questions/concerns that we had during the buying or implementation process, we would have answered very quickly. You can tell that they really put their focus on customer needs, which is how all businesses should run. As far as pricing of other ATSs goes, Lever is on the more expensive, but you definitely get what you are paying for with their premium product. Although we are spending more than we were with our old ATS, the value is beyond noticeable. Running a well-oiled recruitment process with all of our recruitment tools integrated into one ATS. We are able to have our recruitment functions structured under one roof (with Gmail, LinkedIn, Codility integrations) and have our jobs page hosted directly by Lever. Lever is intuitive and user friendly. All of the important tools and quality of life features you would want in an ATS are exactly where you would think they are. This makes it very easy to understand and use. Currently, I have not run into any features I do not like. For any questions I have as far as functionality or usability, the customer service has been exceptional. We are replacing our old ATS system that was clunky, not user-friendly, and not utilized by our hiring managers because of its difficulties. Lever has solved all of the problems we were having with our old ATS, and we have even received feedback from applicants that have interviewed with us on how simple and user friendly the system is at the consumer level. For an international company, Lever is a great help as we have been able to automate a lot of steps (interview scheduling, job offer, …) in our recruitment process as well as to monitor the recruitment activity across countries (by pulling the records of activity). As previously said, the automation is a big factor for companies, we have been able to standardize our interview process and feedback system across 10 different countries. The support team also proposed to contact recruiting partners in order to scripted our job postings and publish them on different platforms. The time difference with the customer support for Europe based companies and the possibility to personalise the information we want to pull in the reports would be a plus. We are able to track the activity across country and run the analysis of winning profiles which allowed us to adapt our processes. "Great ATS and Great personal support from the Lever team"
I enjoy the simple fact of all my candidates are so organized in the Lever system. I am able to post as many jobs as I want which then gets posted to the job boards we want. From there I can reach out, book interviews or phone screens and easily keep everyone organized within the positions posted. The Lever system needs a little colour and a little lively features. The dark grey tone's would look nice if there was some adjustments made. I am helping to attract quality candidates, hire with much less confusion as the Lever system is synced to BambooHR our HRIS system. Organization, speed, and the ability to find good candidates. I really like how Lever is structured. I wanted a system that is really intuitive and that's what it is. I always know in which pipeline stage my applicants are and if they already had an interview or not. The onboarding process from Lever was great! I felt well supported and all my questions got answered within a very short amount of time. My favorite function is the Easy-booking-link. You just have to send out an email with this link and the applicant can find an appropriate timeslot in your calendar without you having to do anything. This saves me a lot of time. Would be great if it would support more than one interviewer calendar. Lever is one of the most expensive systems and they also charge you for additional things (e.g. Slack integration, exporting of reports...). I am missing some things at the reporting section and since I am not willing to pay something extra I can't download the data and produce the reports that I need. Furthermore reminders would be great. e.g. for an applicant who is in a pipeline stage for a long time. We are currently growing really fast and therefore I needed a solution that makes it easier for the candidates to apply and for me to keep track of the applications. Furthermore I wanted something intuitive that does not need much training for hiring managers. Lever is a help for all this needs. I even experienced a huge growth in applications. My candidates seem to like the system too. "Lever is amazing at it's core and has a great team behind it, but falls short in small details." I appreciate how intuitive the layout of Lever is. I was able to learn the main ins and outs of the platform quickly when I first started working in it, and then easily flowed into more in-depth parts on my own. That allowed me to teach myself things that weren't touched on specifically for my role, and helped me broaden my knowledge of how our recruiters work versus our recruiting coordinators on my own time. The requisition/hire integration with Workday has really helped us save time on duplicating work, and just Lever having a team that can help us do that is great. The support we receive is fast and warm - I always appreciate that. -I don't like not being able to move Offer template folders around. I am super organized so that makes it hard to be. -I think there should be an option to add alerts to candidates that haven't been communicated with so they don't fall through the cracks if there's a heavy load. We are currently down some recruiters, and I really wish Lever had more tools to help them get through candidates quicker and alert them on anything that has been lingering more than 48 hours without contact. Then do another alert at 96 hours, etc. until they actually go in and touch the candidate's profile. -I would love folders for Email Templates we send to candidates to make it more organized. -I don't like only having the ability to assign one room per interviewer when scheduling. Remote interviews are very popular right now and we have to go into Google Calendar and manually add the room for the interviewer if the candidate is physically interviewing in a different office than them. That being said, having the ability to make the Google Hangout Meets code that is created from that the same across every single calendar event created for an interview panel would be amazing. We spend a lot of time manually changing those in Google Calendar as well when there is a remote interview. -Sometimes feature rollout promises are made that end up not being met and moved out months, and that can be frustrating when you have your own rollout relying on it. -The reporting features can be hard to navigate and I wish there were more filter options. As I mentioned before, being able to integrate and have Lever's help doing so is great! The Open API is helping us save time like we've never been able to before. Basically we now only contract with companies that integrate with Lever the way we want. The system is very intuitive and I loved working with my implementation partner and customer success manager. Always accessible and provided us with quick solutions related to system needs and configuration. I like that the system is candidate centric and the platform is more agile than traditional systems. While newer in design, I do think that some traditional recruiting functionality in traditional systems would enhance usability and access to information. I think they could do better job with their reporting features. If reporting is a huge need, you should make that case from the onset. You'll need to request specific attention related to their Lever Talent Intelligence tool or make sure that the person responsible for that is familiar with Tableau. For non-data people, it was a little hard to use. As it relates to recruiter experience and hiring manager experience, we've had both stakeholders claim its very user friendly and met their needs. The system also allowed us to improve our candidate application experience. It significantly reduced application speed and improved the experience impacting the number of people applying. We needed to be able to track our candidate pools better and also provide an easy way for our managers to access their pipelines. We were also looking for a newer sleeker platform that didn't feel so archaic. The best feature for me is the integration with LinkedIn Recruiter. I can work seamlessly on both platforms and have all the information I need. I love how I can be in Lever and have a candidate's LinkedIn profile right there for me to review. The second best feature is Nurture. Nurture allows you to set up drip campaigns to send to candidates and can automatically archive them if they don't respond within a certain amount of time. Saves me so much time! I really wish there were reminders and to-do lists to keep me more organized. I would love to have a feature where I can set deadlines to follow up with candidates and receive reminders. Before Lever, we weren't using any type of ATS. Since we started using Lever, our productivity has increased dramatically. We don't have nearly as many candidates falling through the cracks and the reports help us stay on track. "Top notch product AND professionals"
Flawless UI and design: their product and eng teams really think of everything! It's a little pricey for a small business, but they're willing to work with you on this. It's not for everyone but if you care about a well designed product that puts candidate experience and frequent users first, you can't go wrong. Data integrity - when everyone on the team can change or create stages/tags, no one knows what's actually supposed to happen and reports are meaningless. No candidate slips through the cracks - we have people we can always reach out to later, and we can be proactive on our pipelines instead of reactive. difficult to deal with candidates that have applied to different postings, and the reporting is not v good. however, it seems they are changing these things soon. Interview scheduling could be improved but there are new features coming. Some issues with currency population in the offers feature. Massive help using the requisitions tool to monitor open and hired roles, from a financial and reporting perspective. But this feature could be better still. Super easy to integrate with all our other systems like DocuSign and Sapling and LinkedIn, to make life simpler on the admin burden. EasyBook links are a life saver with scheduling calls. "Lever enables us to hit our hiring goals and engage candidates efficiently"
Lever provides all the best ATS functionality in one unified platform. Backed by strong analytics, Lever can help transform how you hire! Platforms like Greenhouse are great, but have WAY too many features that never get utilized. Lever has enabled the SHYFT TA team to be more efficient with less. As a small team (2 people), its important that we are being as efficient as possible while striving for high quality candidates. * We've hired 15 diverse candidates since the top of October 2017 and are able to efficiently track status, give updates, and provide a great candidate experience. * Lever has enabled stronger relationships with our hiring managers as we can show them the data and movement on their requirements via candidate funnel reports, live collaborative feedback, and even job description collaboration. * We have been able to derive candidate funnel metrics to better understand the amount of time and number of potential candidates needed to fill particular roles. * Internal employee referral rate has climbed to over 50% with the ease of the referral submission in Lever. Employees trust our program as they have the visibility to see if their candidates are being contacted, interviewed, and hired. From a candidate experience perspective, we are able to track, engage, and build stronger relationships by focusing on the sources and communities that are most trafficked by our audience. Lever also helps me to understand how efficient our recruiting efforts are. We can track both outbound efforts as well as the inbound speed. "Lever as a Whole and Implementation"
Lever is such a unique product in all the best ways. As far as an ATS goes, it is, in my opinion, the best ATS system on the market. The main two reasons behind this are ease of use and Implementation. Lever isn't built for engineers or tech savvy people, but for recruiters and users. After Implementation, our users have provided nothing but great feedback about the system. As far as our Implementation goes, we were blessed to have Monika as our Implementation specialist. We had no issues at all with implementation, and when something did come up, she took it upon herself to work with other companies to get things straight. Things went smoothly and we actually had it up and running before our deadline. The only constructive feedback I can give is that I wish the platform was a bit more mobile friendly. While it does work on devices such as an iPad, using it on a smaller screen smartphone is a bit cumbersome. We are a growing company and as such needed a good ATS to keep track of our hiring. Lever has made it so smooth and has almost streamlined the entire process. "Lever is exactly what I was looking for for our growing startup"
I like that Lever is a combination of an ATS and a CRM. It is intuitive, very collaborative, and allows me to control all aspects of the hiring process through one medium. There is a little confusion over how much or how little team members can see in terms of candidate information, but it is not a big problem. Make sure you have templates for all important forms, interview feedback, etc. We are growing like crazy and Lever has allowed us to streamline the candidates we are interacting with. Whether we are importing candidates or they are applying directly, Lever makes it easy to track candidates, what stages they are in, and how they they fit in with our organization. It has helped us realize where our strongest candidates come from, and where our processes could be improved. "Great for users - still a work in progress for admins"
(2) EFFICIENCY - our coordination team has TRIPLED efficiency output since we launched Lever AND nobody is working overtime anymore - DM me if you want to connect on HOW! "Highly recommend the tool! " I have introduced Lever at a company of 500+ employees and couldn't be happier with it! As an ATS, the system is amazing - especially around building candidate pools, managing your candidates through the process and having a solid overall picture of the whole pipeline. The integration with LinkedIn and syncing both inMails and emails to the candidate profile is great! From a recruitment function perspective, it really helps with sharing candidates in the team, gathering and centralising interview feedback, promoting referrals etc. It seems they have been continuously improving all aspects, bring small welcomed tweaks here and there. One area I've seen a lot of change (and could be a bit better) is the reporting side. The system has a great UX & UI so new users find it very easy to catch on and how to used this properly. So far, for people outside the Recruitment function, we have had only positive feedback, be it hiring managers or people using it as a referral tool. From Lever's side, the team there has been incredibly supportive and helpful, from pre sales to the actual implementation, training, to small issues and bugs. Improved reporting & personalised dashboards could be better as well - however, this side is still improving and going the right direction. Centralising interview feedback from all hiring managers, interviewers and candidates in one place helps us build a complete and great picture of the recruitment process, candidate fit and making sure we touch on all the right areas when interviewing. candidate and hiring manager engagement, ease of scheduling, candidate feedback documentation in one central location, easy reporting, Lever Nurture makes it easier to stay in touch with candidates, the list goes on and on. We recently moved to Lever from Workable because we needed a more scalable option for our growing company. We have just begun to use the system but integration and the launch have gone very, very smoothly. Leadership is impressed with all of the feature and the nurture campaigns are super helpful and time-saving. I wish we would have found this earlier. There are a few fewer integrations and getting your Jobs posted is a little clunky, but overall easy to get done. Time-saving for almost everyone on the hiring team. From getting feedback on candidates to general scheduling and communication - I cannot stress enough how streamlined our processes have become now that we have Lever. "An ATS that does what it says it will." The ease of use for recruiter / hiring manager when partnering on roles. Reporting features need refinement. Specifically the ability to see what may be quite simple things - how many requisitions do I have? Which of my recruiters are working on these? At the moment the data is on postings but that does not link back to the actual live role. - All of candidate data / notes / scheduling in one place. - Visibility to pipelines across the Talent team. - Great new connectivity with Linked In recruiter - specifically tracking our Linked In activity. "Lever is great for both the candidate experience and user experience!" Very intuitive, clean UI, we had a great implementation experience, the support assistance has been very quick and very helpful, escalating when needed, and our CSM and AE are great at staying in communication and addressing all questions and concerns! Would be nice to see feature requests on a roadmap or more updates on those feature requests. Increased ATS usage across the board -- by recruiting team, hiring managers, and the like; very easy to stay on top of candidate pipeline; communication and candidate experience has increased tremendously; helped improve our internal promotion process, just to name a few! "Fantastic team to partner with & intuitive UX"
With our team doubling in size in less than two years and the launch of a Talent Acquisition department, we require systems that can keep up with our growth and continuous improvements. Lever’s intuitive UX has made customization and integration into our operations easy for both the Talent Acquisition team and hiring managers. Not to mention that the Lever team has been fantastic to work with, even with us navigating time differences half way around the globe! Lacking some functionalities but Lever is very open to improvement feedback & has a pipeline of tech development that includes many of the functionality limitations experienced. Customization. Intuitive UX for use adoption by hiring managers. More control over permissions for privacy of candidate materials. Better reporting. I recommend Lever to every Recruiting team out there. The ATS was created by developers that understand what Recruiters need and understand how little time we have in our days (the lever chrome extension is such a huge time saver). Managers are not the easiest to convince when it comes to ATS but with Lever and the slack integration it makes it easier to collect feedback without having to chase it. The staff is great, I was in touch with Spencer who took all the time I needed to explain all the different functions of Lever and then Otto took over for the implementation and although the timeframe I gave them was super short they were right there with me and I felt supported throughout the whole process (migration from another ATS to Lever and setting up our Lever company account). Nothing for the moment, I've been using Lever since July 2018 and everything has been going smoothly. Quicker way to track my applicants, easier to share profiles with my team and managers. Lindsey and Jaron were patient with me when I was miffed about not receiving any response to my numerous calls/emails until AFTER my account auto renewed. That I received a call only after the account auto renewed.As someone taking over a people department with no historical data on agreements, it's unconcsionable that the HR tech world is operating by using "auto renew" methods. SO much of HR is about relationships and it seems the HR tech world is attempting to remove themselves form developing relationships with their customer base. Make sure you get someone's phone number! Hiring - that's really it. It' a great system with a strong flow for recruiters and interview panels. May be a bit too much for smaller companies who aren't rapidly hiring but it's great for larger audiences. I’ve found that the system is intuitive and allows us to keep track of candidates in an organized meeting. Lever has provided all of this. The UI is super intuitive. The learning period for comfortably navigating the system and time to value was minimal. This has been a great tool for our team and even better for our hiring managers who are loving the new system. I really wish I had access to Lever a year ago! With our old ATS the problem we ran into was that our hiring managers never used it and wouldn’t to leave notes or feedback about their interviews. As we scaled we knew we needed a new solution and Lever was an easy choice. -Adds efficiency to the recruiting team saving recruiters and coordinators time in our day to day. We had to do a ton of manual work with our last ATS. -Doesn't have automated social referral distribution. Employees can't schedule their job posts via social, they need to do it manually each time through Lever. -When setting up your job application, if you choose to have a resume as required then the 'Apply with LinkedIn' is pointless. If they 'Apply with LinkedIn' then they still need to upload a resume. Unfortunately, 'Apply with LinkedIn' doesn't cover the resume requirement. "Great platform and amazing customer service!" The best thing is their customer service! I must email them every other day with a question or suggestion, and they are so responsive. I receive a response usually within an hour or so, and they'll email back and forth with me to problem solve anything I'm running into, or offer workarounds if the platform doesn't do what I'm asking and pass the suggestion on. It also integrates nearly seamlessly with Gmail and Google calendar and makes it very easy for me to communicate with my hiring managers. I wish there were a mobile app and a few more pieces of it were customizable (but they are still developing it and in the short time I've used it more of it has become this! I imagine it will continue to improve). Easy communication around all aspects of the recruiting process - Lever solves this completely! "A very intuitive User Interface and easy to work with"
In general it is a very intuitive ATS system. The way to follow up on candiates, referrals and contacts is easy and spares a lot of time. The search function is good, there are filters available and the availability for tagging is future oriented and really helpful. The software status of today is good, there are some use cases which would speed up the success of LEVER. Since the successful integration with Microsoft Office365 with a single logon procedure it became better and better integrated. The help I got during the integration time was great and very supportive and problems and questions were solved very quick. I'm working with the basic version, not with the Pro version. There are a lot of possible software tools and programs expecially supporting the search process. But the costs for the Pro Upgrade is very high and there is no chance to try it out. Sometimes the sales support also in the way what you will get for the money is partly not clear. My advice, be clear on what you need and work on processes and use cases which help to focus, especially in the discussion with LEVER sales. Unfortunately I don't have the strategy and roadmap of Lever which would help me to decide the last question better. As well, since I'm always a power user of software (IT background), it could be a help for Lever to have a closer feedback relationship with aboutSALES, to get more ideas and interesting software use cases. I'm using LEVER as a ATS system to track the candidates and work on a structured, partly automated and professional system. This simplifies the data consistency, process, candidate handling and tracking. We had a great implementation experience with Otto, he supper attentive and proactive in checking our understanding each section of the apps and ensure best implementation for our company. We completely fall in love with the Lever and didnt have any complain using it. We truly high recommend Lever to all !! We save major time using LEVER integration and by design the platform is flexible that can fit to our propitiatory recruitment process that we already have. Furthermore, with the report menu on the apps it allows the recruitment team create analyst, see the bottleneck and comes up with key strategy to improve the process We truly high recommend Lever to all !! "Great ATS - May involve some thoughtfulness on your personal business processses"
Probably should have seriously done some Best Practices thoughtful musings before we went full implementation. For example, deciding on how to arrange projects, using the extension, cataloging the reach outs, understanding what the different statuses are, how the workflows are reported on - these are all things that I have learned by mistake. The training was a lot about baby steps to use the product not what is the best way to rock LEVER. Think very hard about how to advise people what the Best Practices are as a full life cycle recruiter and what you intend to report on before you Go Live. We don't have brand recognition so everyone we recruit we have to go fetch. I should have thought about how to manage templates in LinkedIn and in LEVER then thought about how I would report on it using requisitions and Job Postings. This came to me later than it should have. "The overall best platform I've used"
Simple UI. Job focused which helps companies understand the value of that. I love that you can snooze candidates so you don't lose them and don't screw up your reporting/analytics. I don't like that the CRM/leads aren't kept in a separate funnel than that applicants. I also don't like that you can't customize categories of source yourself or some other aspects of the system. the company I am partnering with has a ton of people involved in the interview process so lever is saving our lives by having a source of truth. * We monitor all Lever reviews to prevent fraudulent reviews and keep review quality high. We do not post reviews by company employees or direct competitors. Validated reviews require the user to submit a screenshot of the product containing their user ID, in order to verify a user is an actual user of the product. Hi there! Are you looking to implement a solution like Lever?